Every drop of Armadillo Ale Works beer is brewed on-site, housed in an old railway grain warehouse constructed in the early 1900’s. Our taproom and coffee shop offers an enormous spectrum of our creations in a relaxed environment with an indoor beer garden vibe. In addition to our normal taproom shenanigans, we host a plethora of special beer releases, rare tappings, live music, and all around fun brewery events. We also host various community events and even offer rentals for private parties. From coffee to beer to sodas, if we can brew it, we will do it. So come on in for some liquid refreshment straight from the source! Super-Rare-Extra-Limited Beers may be tapped on occasion. Check us out on Facebook for upcoming events and releases. Out of this world coffee served Monday-Saturday 7am-5pm. Have you ever thought it would be cool to hold an event at a brewery? We can assure you, it most definitely is! Since we brew everything on-site, we offer an unique experience for any corporate event, wedding, birthday, baby shower, fundraiser, and more. From reserving a few tables to taking over the entire taproom, we can accommodate groups of all sizes. Interested in hosting your event with us? Fill out the Special Events Form and we’ll get in touch with you to discuss the details. Examples: Fundraiser, Birthday Party, Wedding, etc. Is this event private or are you interested in partnering with us for a public event? When are you looking to hold your event? Thank you for reaching out! Someone will get back to you shortly to discuss the details of your shindig. We look forward to having you! Armadillo Ale Works began as a couple of guys in a garage with some homebrew equipment and a hand-full of recipes. Founders Yianni Arestis and Bobby Mullins started Armadillo Ale Works back in 2010 with a dream of opening a craft brewery in Denton, TX. 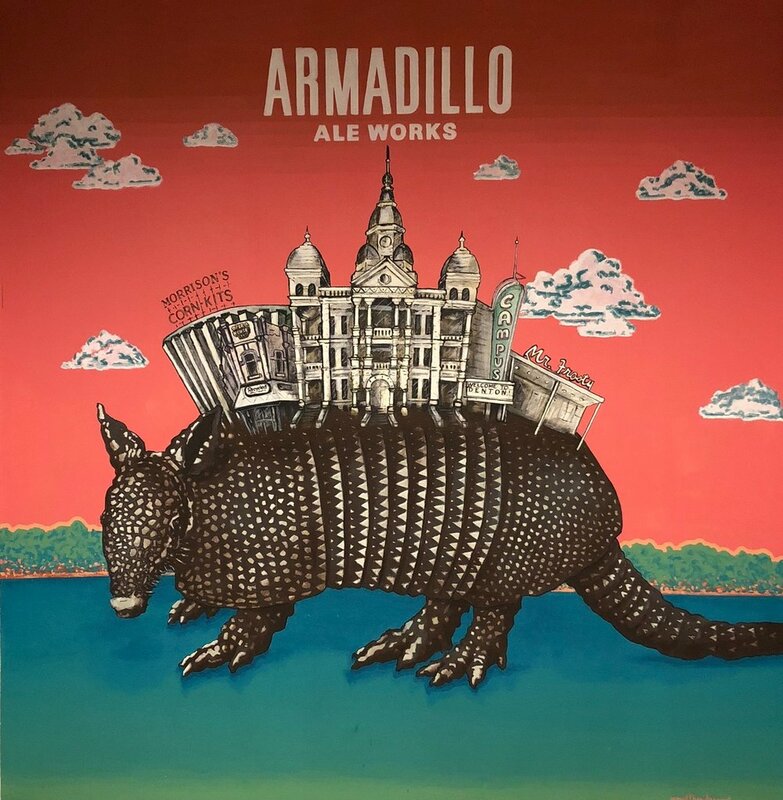 Their journey from conception to fruition was long and unconventional, but after 8 years Armadillo Ale Works opened it’s doors in 2018. Read more.